the results from this experiment has surprised me. I’ve used old compact camera, Kodak Folding Brownie 3A and silver-gelatin paper as a negative. On the end I’ve got this amazing print that I’m also listing on eBay. I’m sorry for not containing my excitement, but I’m an artist, I’m allowed to do that. Anyway even if you are not an artist, I hope you will like this vlog. I’ve been working on it for the whole week, but I think it was worth it. I’ve listed the print on eBay and the listing is in two options, with or without the mat. The print is in both cases the same quality. Please share with me your experience with paper-negative and if you have some suggestions what should be the theme of my future vlogs, please share that too. Thank you for watching and helping me spreading topshit across the world! PS: I’ve took down the EBay listing. I’ve changed my mind, it’s not on sale. This morning I photographed an oak tree. 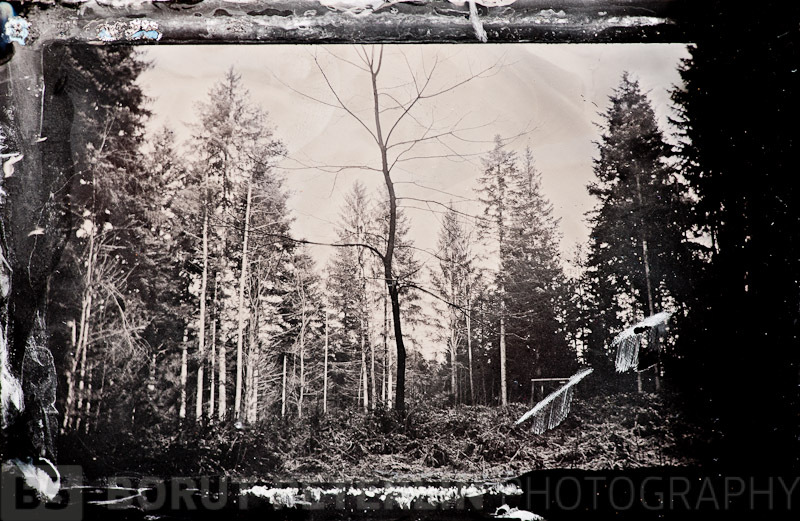 Horizontal image is tintype taken with Kodak Folding Brownie and vertical one is with 5×7″ view camera. I’m not satisfied with vertical image, I had only one glass plate left, if I would have three I would make it much better. 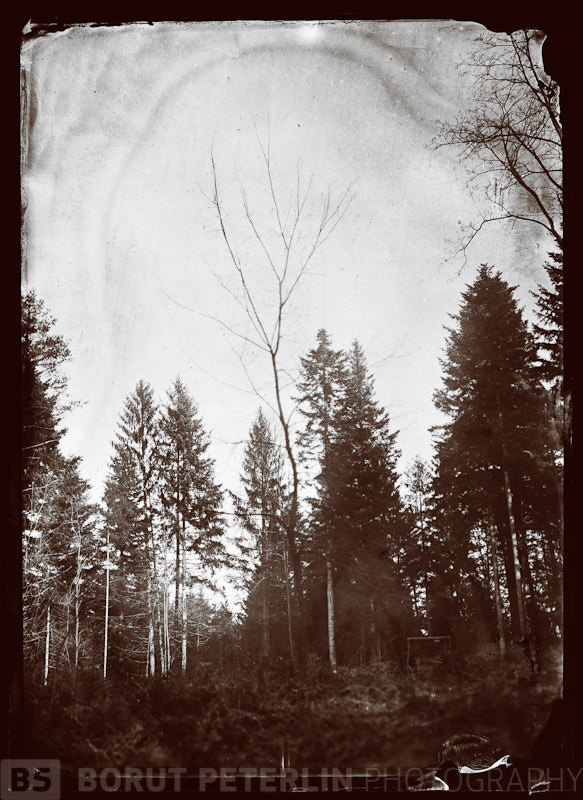 It was cold 2C, but Wet Plate Collodion chemicals were working a bit slower, but just as nice. I love it! I can’t get enough of this “hands on photography”!